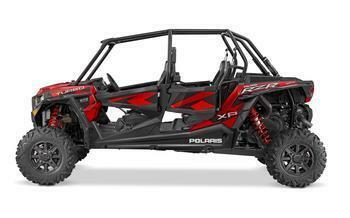 Polaris Industries of Medina, Minn., is recalling about 13,000 recreational off-highway vehicles (ROVs). The figure includes 2, 230 vehicles recalled in December 2015. The company has received 19 reports of the ROVs catching fire, resulting in six reports of burn injuries. One of the reported fires occurred in Utah’s American Fork Canyon, which led to a young child suffering severe burns and 15 acres of forest land being destroyed. This recall involves all model year 2016 Polaris RZR XP Turbo and RZR XP 4 Turbo recreational off-highway vehicles. The ROVs were sold in blue, gray, orange and red and have two or four seats and a rear box. “RZR” is printed on the rear box or on the right and left rear fenders and “Turbo” on the hood or on the right and left front fenders. “Polaris” is stamped onto the front grill. All model and Vehicle Identification Numbers (VINs) are included in this recall. The ROVs, manufactured in the U.S. and Mexico, were sold at Polaris dealers nationwide from August 2015, through July 2016, for between $25,000 and $27,500.